The Technological Incubator for Popular Cooperatives (Incubadora Tecnológica de Cooperativas Populares – ITCP) is a university sponsored initiative run by the Engineering Post-Graduate and Research Coordination at the Federal University of Rio de Janeiro – COPPE/UFRJ, which has, since 1995, had as its primary objective the inclusion of economically marginalized sectors of the economy within the formal system. Centered on strengthening cooperativism, as well as involved in the field of economic development in general, the ITCP has also helped put forward new public policies and dedicated a significant proportion of its time and effort to the search for a solution to the new relations existing in the global workplace and the affirmation of citizen’s rights. To contribute to the preparation and implementation of public policies aimed at promoting social and economic development. The team working at the Technological Incubator for Popular Cooperatives is multidisciplinary, and includes professionals and technicians from a wide variety of areas of knowledge, researchers and professors from the University itself, as well as students with scholarships and graduate and post-graduate students. NOVIB - Organização Holandesa para a Cooperação Internacional do Desenvolvimento. The process of reorganizing and privatising Brazilian state-owned companies began in the 1980s and proceeded through the mid ‘90s, by which time the country’s social inequalities had become even starker. The less well off among the population suffered the direct consequences of the prevailing economic model, in which the state was largely absent, education levels were extremely low and work opportunities were in short supply. Violence in the community swelled and urban youth was both recruited by and fell victim to the burgeoning drug trade. It was in this context that, in 1996, the Incubadora Tecnológica de Cooperativas populares (ITCP/ COPPE) was set up, under the auspices of the Universidade Federal do Rio de Janeiro – UFRJ, with the mission of fostering innovative action to promote economic inclusion and citizenship among the poorer segments of the population. This initiative was born out of a desire to seek a collective solution, based on cooperativism, to the problems of economic exclusion, unemployment and other factors keeping workers out of the formal job market, and to foster development allied to social justice. The Incubator’s efforts were quickly recognized and earned awards from both the World Bank and the Getulio Vargas Foundation in São Paulo as one of the ten most important Brazilian endeavours in the fight against poverty. The methodology employed was passed on to 16 leading Brazilian universities in 10 different states and the accumulated experience became a national point of reference, particularly for the political model established, which, alongside the economic one, leads the new social players, strengthened by the practice of cooperativism, to develop a collective posture, as they feel an obligation in relation to the problems and concerns of the community to which they belong and are active on the national stage, influencing local and national public policy, with the broad objective of transforming the prevailing economic model. Acting mainly in communities where the predominant ethnic background is Afro-Brazilian, the ITCP stimulates ongoing debate regarding the new forms of working relationships and economic insertion, leading to a heightened awareness of the importance of citizenship and work and their place in society. This is reflected most strongly among the women who play a leading role in the economic debate within their communities, acting as social agents focused on the need for public policies regarding sanitation, education and health. 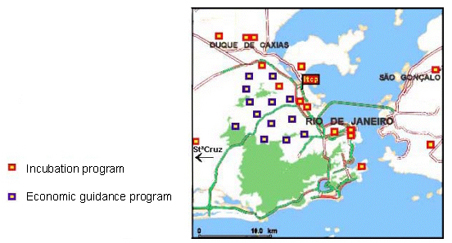 In 2001 and 2002 the ITCP advised the public administrations of the municipality of Diadema – one of the “ABCD” satellite towns to the south of the city of São Paulo – and the state of Rio Grande do Sul. Together with the Diadema Public Policy Observatory, it proposed policies for inducing sustainable local development that will also facilitate the economic insertion of the unemployed population. Through the state of Rio Grande do Sul’s Program for Solidarity in the Popular Economy, it stimulates the founding of companies that are interconnected through networks of popular enterprises. In 2003 and 2004, the ITCP is proceeded with its development work, under phase 2 of the Novib backing. Accounting, economic, social, and administrative support for groups of the unemployed or underemployed in order to generate opportunities for work, income and citizenship, through self-administering cooperative endeavours. Transfer of technology in the process of setting up a municipal Technological Incubator of Popular Cooperatives fostering popular cooperativism in the municipality of Alvorada. Increase employment opportunities for the unemployed and/or those with unstable work, young people looking for their first job, women, particularly heads of families, and those who risk losing their jobs develop skills and abilities among cooperative members, the self-employed and small business entrepreneurs. Formulate and put forward legal measures to consolidate public policy in the city of São Paulo. Holding seminars to present the indicators. Credit for the Cooperatives, or Micro-lending? Which is the best alternative for the popular cooperatives? Proposal of a legal milestone that will give this population segment access to credit. only 115 thousand micro-lending customers, at present. Develop methodologies for the monitoring, evaluation and consolidation of community management of the natural resources in these regions through sustainable rural incubators. Provide them with the tools for cooperativism, self-management and collective working procedures. Train representatives of groups of collectors of solid waste in courses on leadership. A significant number of companies, organizations and university programs that have a policy of social responsibility were contacted, with a view to generating more job and earnings opportunities for the incubated cooperatives. 23 cooperative members hired to run a conveyor belt and separate material that can be recycled for commercial use at the “Usina Verde” plant. A partnerships with the state government of Rio de Janeiro has just been established; a project for the monitoring, evaluation and consolidation of the community management of the natural resources in local catchment areas in the north and northwest of the state. And another one will shortly begin, with São Paulo municipality, for the generation of employment and income by training the collectors of solid waste in a way to provide them tools for cooperativism, self-management and collective working procedures and to train representatives of groups of collectors of solid waste in courses on leadership. - for the business of the incubated cooperatives. Pass on and replicate in other Incubators of Popular Cooperatives the lessons learned from the implementation of proposed initiatives. During the period December 2003 / January 2004 an independent consultant was retained to assist ITCP in the preparation of its strategic planning. It is expected that the strategic plan prepared as a result of that effort can help ITCP to quantify its achivements with respect to pre-established goals. It will also help to identify adjustment needs in order to better calibrate our focus towards improving institutional efficacy. 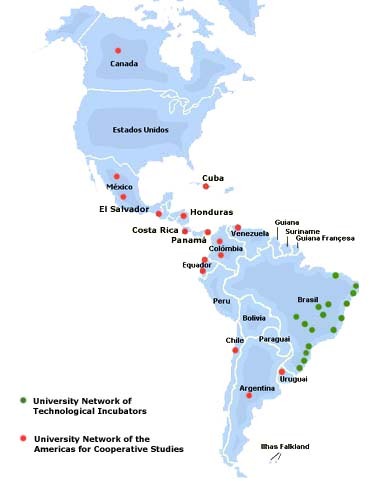 The ITCP is also a member of the University Network of Technological Incubators, comprising 16 universities, and the University Network of the Americas for Cooperative Studies, comprising 22 universities located in North, Central and South America, and participates among the group of universities that conducted the survey “A Panorama of Cooperativism in Brazil”. The ITCP is also currently participating, together with other institutions, in the Ibase - Instituto Brasileiro de Análise Sociais e Econômicas - initiative “The Cooperatives’ Social Synopsis,” whereby the information disclosed by the cooperatives in their annual social synopses can become an important tool in relations with public bodies. 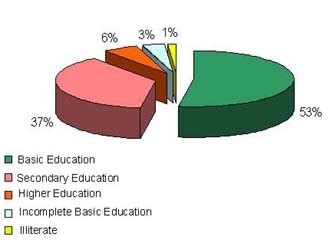 In incorporating the initially prescribed targets and seeking to build on its past achievements, the Incubator, through the Program to Foster and Strengthen Popular Cooperativism , reaffirms its aim of reinforcing areas and activities that offer potential and lay the foundations that will guarantee the sustainability of the work, based on the joining of efforts, with those who recognize the importance of economic inclusion and citizenship to our country, in order to attain common objectives. The ITCP presently assists 15 self-run collective undertakings that are involved in a variety of economic activities within the state of Rio de Janeiro. 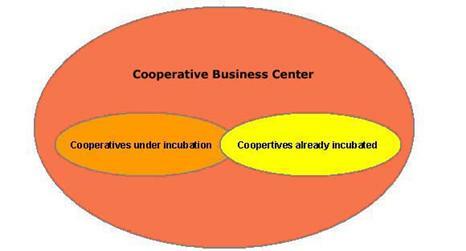 There follows a brief description of each of these cooperatives. This enterprise, located in the municipality of Mesquita, is made up of craftswomen devoted to producing handicrafts with a difference. They use for their raw materials objects that would otherwise be thrown away. Their products include pieces made of newspaper and fashionable items of womenswear, bedding and tableware made with patchwork and thread. The Cooperativa de Produção Alimentícia Bom Apetite, also located in Mesquita, was established for the purpose of preparing meals, sweet and savory pastries and providing a specialized buffet service. The “Cooperativa de Mulheres da Baixada - Coomub” was set up to collect, sort and recycle solid waste. The members run a campaign to raise environmental awareness and promote selective waste collection in the municipality of Mesquita, where they live and work. In the Jacarezinho housing complex, the “Cooperativa Popular dos Amigos do Meio Ambiente - Coopama” works at collecting, sorting and recycling solid waste and performing general services. During the process of incubation under the ITCP/COPPE-UFRJ, this cooperative’s first success was winning a contract from Usina Verde S.A. Located on the Ilha do Fundão, site of the federal university campus, Usina Verde is a pilot plant for the development of innovative technology to generate power from waste. Part of the urban waste that is collected is used to produce electricity and another portion is separated and sold by Coopama. This cooperative is located in the district of Fonseca, in the municipality of Niterói, and works in the information technology area. It entered the incubator in November 2005 and is still in the pre-incubation phase. The group was born out of a digital inclusion project run by the NGO CDI, in partnership with the Sacred Family institution (connected to the Catholic Church). Coosturart (Handicraft Sewing Cooperative)The “Cooperativa de Costura Artesanal - Coosturart” comprises, for the most part, craftswomen from the João XXIII housing complex, and was established for the purpose of utilizing materials left over from the clothes manufacturing process, using patchwork and other techniques, using pieces of colored fabric. In addition to providing services to third parties, the cooperative has launched its own range of bedding and tableware products, which are sold at handicraft fairs and related events. The “Cooperativa dos Trabalhadores do Complexo de Bonsucesso Ltda - Cootrabom” is situated in the Complexo da Maré neighborhood and operates in the collection, sorting and recycling of solid waste. The appearance of this cooperative opened up many new possibilities for transforming the area, due to the heightened awareness of the community regarding selective waste collection and the organizing of labor to generate employment and income. The cooperative also provides gardening, painting, metalworking and air conditioning maintenance services. The “Cooperativa Delícias do Rio”, which is still in its initial phase, operates in the area of foods. The purpose of the enterprise is to organize events and provide the table decoration, waiters and waitresses. They also sell, to order, hot and cold savories and caramel candies. The cooperative comprises women who have children undergoing treatment at INCA (National Cancer Institute) and do not have the resources to cover the costs involved in this treatment (medicines, food, transport). For this reason, they turned to the “Casa de Apoio a Criança com Câncer Santa Teresa”, situated in the district of Estácio, which is the present base for the enterprise. Dinamicoop is a cooperative located in the Morro do Macaco neighborhood, that brings together qualified professionals from the fields of information technology, graphic arts and IT consulting , to assemble and maintain computers and networks, set up websites and give basic computer courses (Office).This cooperative is situated in the district of Mangueira. Its field of activity is the selective collection and recycling of waste, and it is in the pre-incubation phase. They participated in the Supportive Recycling project, run by the NGO Cáritas and sponsored by Petrobras under its Zero Hunger program. The “Cooperativa de Produção de Artesanal Mulheres Artesãs da Maré”, located in the community of the same name, produces exclusive bags and clothing accessories using the techniques of crochet and knitting. The enterprise has achieved export quality and also offers a range of costume jewelry using Brazilian stones on a knitted base. The Pendocoop Cooperative sells foods, notably cakes and meals, that are currently produced on a small scale for local retail employees and residents. The enterprise also produces a basket of basic food items, at an accessible price, guided by Supportive Economy principles. The Praia Vermelha Cooperative is an income generating project of the Philippe Pinel Institute. It was established for the purpose of generating employment and income for mental patients, as well as being an exercise in citizenship, by opposing a culture of exclusion. 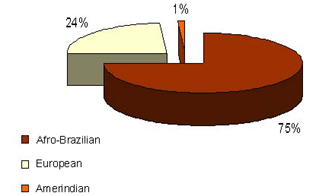 The cooperative produces and sells products containing nuts or cupuaçu (a fruit related to cocoa), such as sweets, cakes, bread and biscuits, and packaging (binders, folders, cardboard boxes, etc.). The activities serve the dual role of occupational therapy for the patients and stimulation of awareness regarding environmental concerns and the goal of sustainability in the use of natural resources. This cooperative is located in the Ilha do Fundão residential quarter, on the federal university campus, and thus has a major partner to help in its endeavor to become a going concern.